Aquarium Pharmaceuticals Goldfish pellets mini-pellet food for all varieties of goldfish including shubunkins, lionheads and fantails. Specially formulated to bring out the color of all varieties and improve digestive function for better fish health and less waste. Other ingredients include alfalfa, spirulina and marigolds for vibrant color and highly digestible protein sources including pea protein and squid. 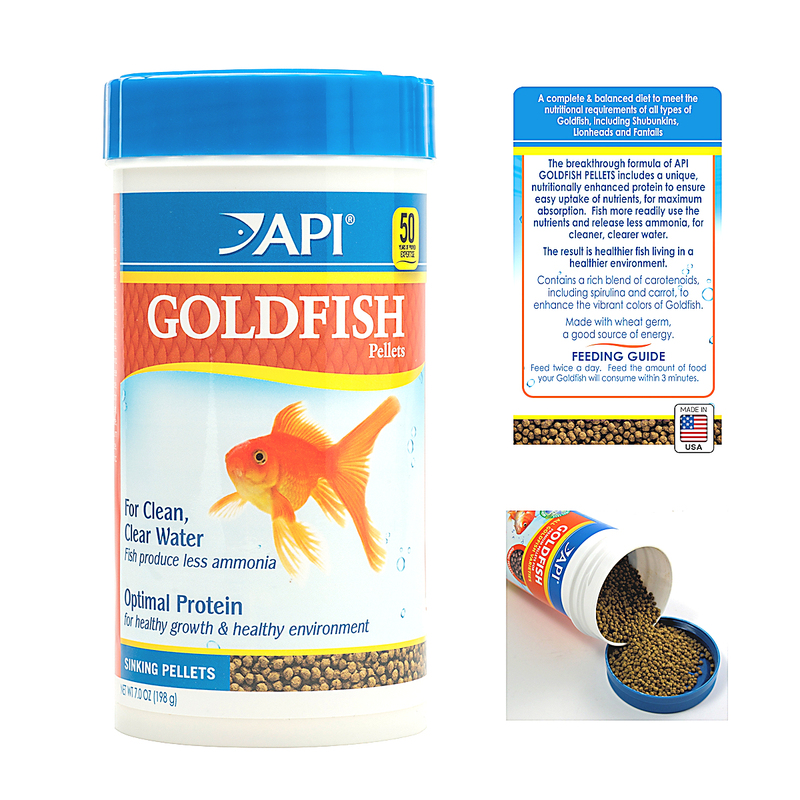 API Goldfish Pellets promote color, growth and energy for lively, colorful and healthy goldfish. Goldfish will eat this food rapidly but don't overfeed using only as much as can be consumed in three minutes. The food goes farther which saves you money and reduces waste for a cleaner and easier to maintain aquarium.